One fine summer afternoon, I happened upon this lovely crab spider out and about marauding amongst the flowers. She was trying to stay out of the sun and I was having a hard time getting any shots. I have to admit I took her and her flower into my van to see what I could do. 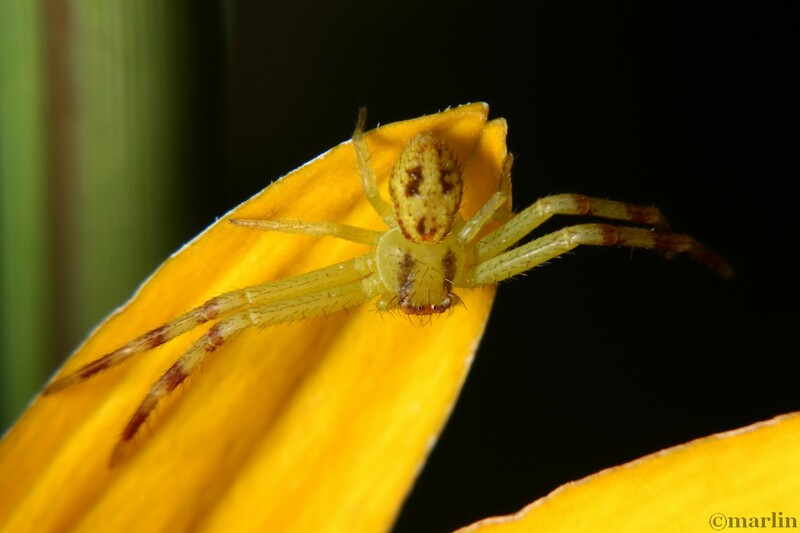 Somehow, crab spiders seem to take on the colors of flowers on which they sit. It is only against the neutral background of automotive carpeting that the true pale, jade-green color of this spider really stands out. Anyway, these tiny spiders are very shy and very quick to pick up on the fact you have spotted them. Their instinct, of course, is to hide when their exquisite camouflage fails. She was not very cooperative so I put her back where I got her. Crab spiders (often called flower spiders) are known for their oversized front legs and resemblance to the familiar crustacean seafood item. Species in Thomisidae have camouflage which makes them nearly invisible when lying in wait on or near flowers, where they snag unwary insects blundering within range while nectaring. Their prey includes butterflies, flies, beetles, and bugs. 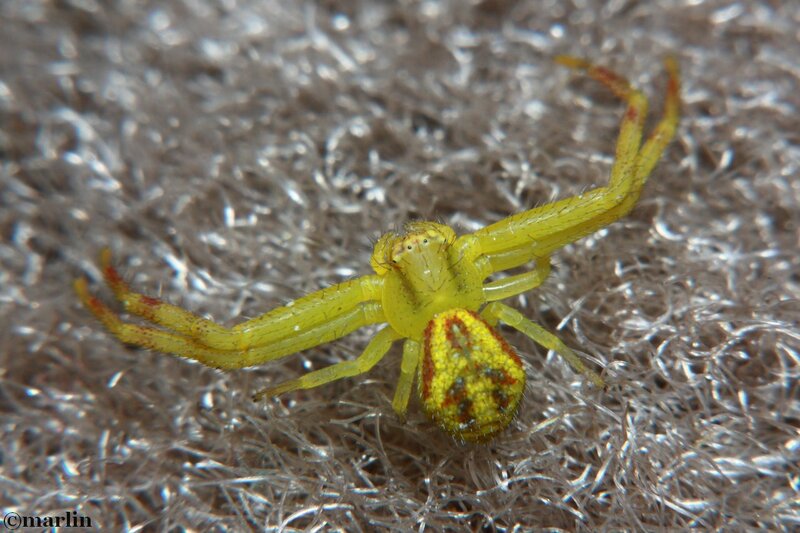 Like all spiders, crab spiders go through a simple metamorphosis. 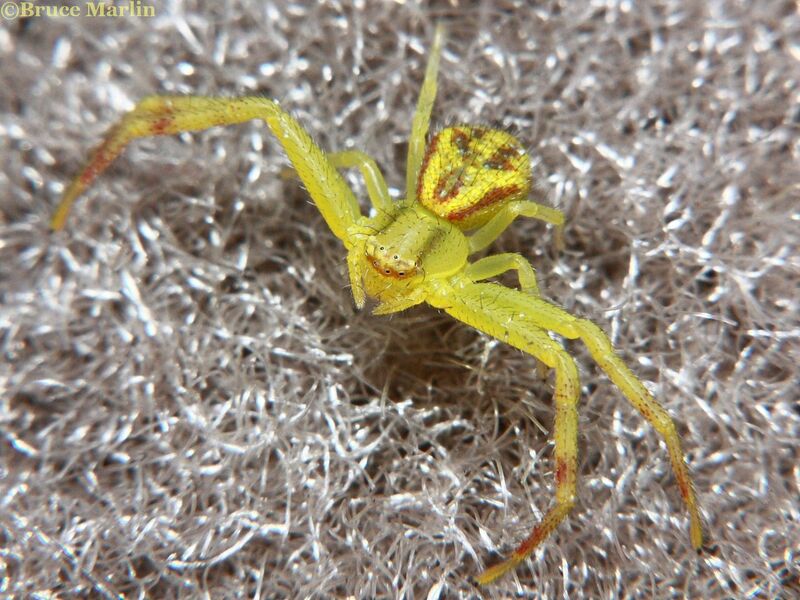 Young crab spiders hatch from eggs and look like tiny adults. They shed their skin as they grow. Most live for less than 1 year. Females produce hundreds of eggs in the fall, and the offspring hatch in the spring. Those primitive simple eyes are very good at picking up movement. Their very existence depends on it!